Looking for deals in Pisa? Located 164 feet from Pisa’s Piazza dei Miracoli and 328 feet from the Leaning Tower, Hotel Pisa Tower features air-conditioned rooms with free Wi-Fi and a flat-screen TV. Excellent location. Beautiful place. Breakfast was Very nice. Staff were exceptional. Located within the San Rossore National Park, the renovated Casale La Sterpaia is 3.7 mi from Pisa. 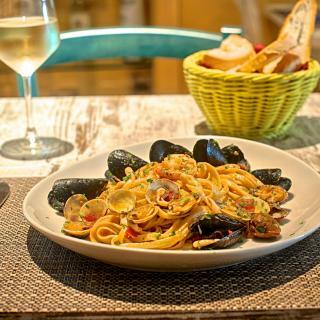 The à la carte restaurant uses local ingredients and specializes in Tuscan cuisine. Wi-Fi is free. Beautiful location with clean and comfortable room. Horse riding available but reservation is needed. Set on the outskirts of Pisa, Casa Betania offers free private parking. All air-conditioned rooms come with a private bathroom and peaceful garden views. All rooms feature air conditioning and a TV. Nice clean hotel, pleasanr staff. In a pedestrian area on Pisa's main promenade, Relais Centro Storico is in a historic building and has free Wi-Fi and air-conditioned rooms. You can walk to the Leaning Tower in 15 minutes. Great helpful staff - carried our luggage up and down - very friendly and caring! Nice little coffee room and a great breakfast room. Our room had an amazing bathroom with a huge soaker tub - very beautiful antique hotel! B&B Hotel Pisa is 2.4 mi from Pisa Galileo Galilei Airport and 1476 feet from the A12 motorway. It offers functional rooms with free WiFi, and free on-site parking. The staff were extremely helpful and friendly. With a large garden and free parking, Residence Antiche Navi Pisane offers modern accommodations in Pisa. It is 3117 feet from Campo dei Miracoli square, with the Leaning Tower and Pisa Cathedral. It took only 6minutes to leaning tower from the residence. Very close to the hostorical point!! Hotel Kinzica is set in an imposing villa of the mid 18th century, within walking distance of the Leaning Tower of Pisa. All rooms have free Wi-Fi, air conditioning and satellite TV. Seriously, 200 yards from the leaning tower!!! Hotel Villa Primavera is surrounded by a graceful, green garden. The Leaning Tower, Pisa University and the hospital are within walking distance. Very nice hotel! Good location, very clean and great staff! Hotel Galilei is a 5-minute drive from Galileo Galilei Airport and 3.1 mi from the A12 Motorway. It offers air-conditioned rooms with elegant furnishings and a large conference center. Chose to stay here again after our Tuscan holiday for easy access to airport and rental car drop. The AC Hotel Pisa is 1.9 mi from Pisa city center and 2.5 mi from Galileo Galilei Airport. With a modern design, it offers air-conditioned rooms with a mini-bar. The staff were kind and went above and beyond for our wants and needs. The elegant Hotel Bologna is in the historic center of Pisa, a 5 minute walk from the train station. It offers free Wi-Fi and a shuttle to the airport. Very comfortable and clean. Good WiFi in the room. An electric kettle in the room. Hotel Repubblica Marinara is a modern hotel just over 1 mile from Pisa Centrale Train Station. It provides free parking, and elegant rooms with parquet floors. The room was very clean. The bed was super comfortable and the staff were so nice. Only 328 feet from the Leaning Tower of Pisa, Hotel Francesco is set in central Via Santa Maria. It offers air-conditioned rooms with a fridge and tea/coffee maker. Is so close to the Pisa tower. Hotel Roma is just 100 yards from Pisa's Piazza dei Miracoli. Many rooms have views of the Leaning Tower or the Duomo. Rooms are functional and simply furnished. I love its position. Right across from Pisas main attractions, Leaning Tower, Baptistry etc. Hotel Moderno is located 492 feet from the bus and train stations and a 20-minute walk from the Leaning Tower. This hotel features air-conditioned rooms. Some of the Moderno’s rooms have a balcony. Friendly staff. Gave us a wonderful welcome. Very nice. Breakfast was good. The Royal Victoria is the only hotel in historic central Pisa overlooking the Arno River. Take a short walk across charming, medieval streets and you will soon reach the Leaning Tower. We would definitely stay again and recommend to friends! A 5-minute walk from Pisa Cathedral and the Leaning Tower, Hotel Galileo features simple rooms with a TV and private bathroom. 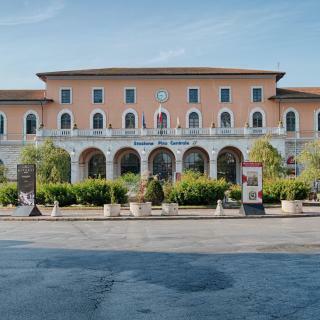 Pisa Centrale Station is a 15-minute walk away. Hotel is located on the first floor. Fast check in. Near leaning tower. Room is clean. Hotel Amalfitana offers air-conditioned rooms with LCD TV and free Wi-Fi. In central Pisa, it's just over a quarter mile from the Leaning Tower. Good location. Close to the tower of Pisa. Only 262 feet from Pisa Central Train Station, the Milano is a family-run hotel offering air-conditioned rooms and attentive service. Pisa University is 10 minutes' walk away. Hassan, the manager was very very helpful and courteous. What are the best hotels in Pisa near Leaning Tower of Pisa? Some of the best hotels in Pisa near Leaning Tower of Pisa include Relais Pacinotti Apartments and Suites, Cantuccio di Borgo and B&B Relais Paradise. Which hotels are the best ones to stay at in Pisa? Hotel Pisa Tower, Hotel Di Stefano, and Hotel Alessandro Della Spina are some of the popular hotels in Pisa. Which hotels in Pisa have nice views? Casale La Sterpaia, Hotel Roma, and Grand Hotel Duomo got great room view-related reviews from travelers in Pisa. Which hotels in Pisa are good for couples? 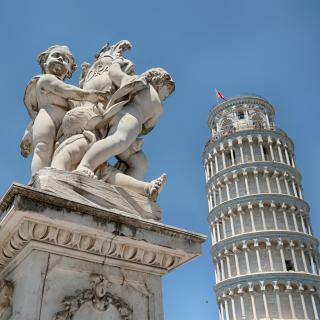 These hotels in Pisa are highly rated by couples: Residence Antiche Navi Pisane, Hotel Pisa Tower, and Villa Tower Inn. What are the best hotels in Pisa near Galileo Galilei Airport? Travelers who stayed in Pisa near Galileo Galilei Airport (PSA) have said good things about Blue Shades ApartHotel, Locanda La Bottega del Parco, and Hotel Moderno. How much is a hotel in Pisa for this weekend? The average price per night for a 3-star hotel in Pisa this weekend is $154 or, for a 4-star hotel, $201. Looking for something even fancier? 5-star hotels in Pisa for this weekend cost around $233 per night, on average (based on Booking.com prices). Which hotels in Pisa offer an especially good breakfast? 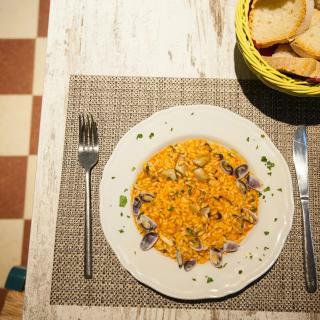 For hotels in Pisa that serve highly-rated breakfasts, try Hotel La Pace, Hotel Bologna, and Relais Centro Storico Residenza D'Epoca. Which hotels in Pisa are good for families? Many families visiting Pisa loved staying at Hotel Pisa Tower, Hotel Di Stefano, and Residence Antiche Navi Pisane. How much is a hotel in Pisa for tonight? On average, it costs $67 per night to book a 3-star hotel in Pisa for tonight. You'll pay around $109 if you choose to stay in a 4-star hotel tonight, while a 5-star hotel in Pisa will cost around $124, on average (based on Booking.com prices). How much does it cost to stay in a hotel in Pisa? On average, 3-star hotels in Pisa cost $79 per night, and 4-star hotels in Pisa are $96 per night. If you're looking for something really special, a 5-star hotel in Pisa can be found for $169 per night, on average (based on Booking.com prices). If you are in Pisa then the first stop is probably to snap a memorable picture of the famous Leaning Tower. Arrive early and you just might get a chance for a solo shoot! Go beyond this legendary experience and discover a maze of ancient cathedrals, buildings and squares in this historic town. From the Pisa Centrale Train Station, the 30-minute walk to the Campo dei Miracoli is along a pedestrianised street packed with shops and restaurants. If you head outside the touristy area you will start to uncover the atmosphere created from the some 60,000 students who study here. 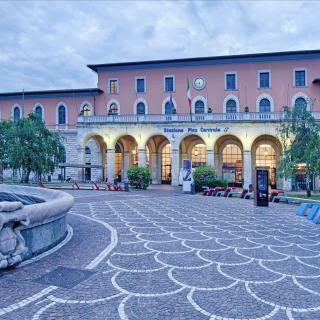 Appreciate masterful art at Museo di San Matteo and Romanesque architecture at the San Paolo a Ripa d'Arno, San Michele in Borgo and San Paolo Churches. If your feet tire then hop on and off one of the site-seeing buses to get a different look at Piazza dei Miracoli or the dome at the Cathedral of San Ranieri. Pisa Galileo Galilei Airport is the gate to Tuscany and from here Florence and Siena are easily accessed by train while San Gimignano is accessible by bus. 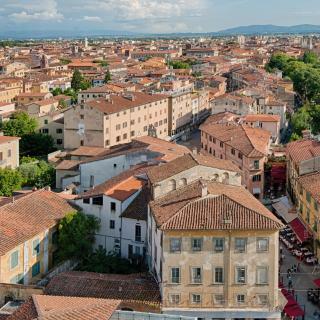 No matter whether Pisa is the final destination or you’re just passing through, Booking.com can offer you over 90 hotels, B&Bs and guest houses in this Italian city. We went to see the leaning tower. We went to see the leaning tower. When we went to buy tickets they informed us you must be 8 years old. We took some pictures and left right away on the train. I would have stayed in Florence and made a day trip. Spend a little time amongst the crowds of tourists at the main sites and then head to the other side of the Armo river where the real Pisa lies. 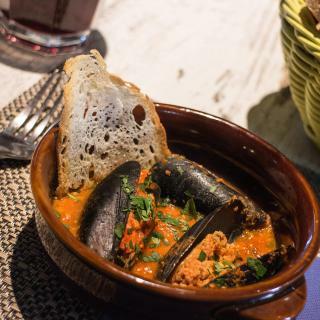 Wander through the narrow streets, linger over a cappuccino and pastry, people watch, poke into churches along the way and just enjoy yourself. Small town the main attraccion is the Tower of Pisa, not many restaurants and food is not great. I dont recommend using the train from Rome to Pisa is nothing exited to see and going through dark tunnels, I was hopping to see at least the ocean and the seats very uncomfortable and very hot inside the train. Very busy but friendly place, good public transport, buses and trains. People don't mind if you don't speak Italian but they really appreciate if you try. The two main shopping areas on either skde of the river were gorgeous and most restaurants were reasonably priced. Lots of places to visit so plan ahead of time what you want to see and book anything you can in advance. I noted the leaning tower was cheaper booked through their own site not a 3rd party one. We also used just eat to order in on one night as weather wasn't good and there were a lot of places to choose from. Overall a fun and interesting city to enjoy, take your time and go with the flow. Also be brave by the roads, they don't often stop for zebra crossings unless you're already on it. Need to take photos of pisa tower and possible to see many people try to take picture with different kind of behaviour. Most funy is wacthing people while they are taking photos with pisa :) Go to little places for eating pizza not near restaurants of pisa tower and you will discover the pisa city in the city town.. Fantastic place to stay in Pisa. Close enough to walk from the train station and only a 10 minutes taxi ride from the airport. It is super close to the main shopping street and only about a 15 minute walk to the tower etc, so a great location. The staff were super helpful giving us restaurant recommendations and organising our taxi for us. The room was lovely. Super modern, great size, huge spa, the best shower/bathroom we had in Italy, and it includes nice extras like tea, coffee and small snacks. We definitely recommend it to others! Spotless clean, very tasty renovated, cosy. Oscar, the owner, is very friendly and would do anything to make you feel at home, you don't feel at a hotel, but more like visiting a friend, ready to share the best spots in the city with you. And he certainly knows Pisa well. The restaurant he recommended - he even called to reserve a table on our behalf - had the most delicious food - real Italian restaurant with lots of choices. Wonderful host, that made our stay in Pisa so pleasant! Ancora una volta: grazie Oscar! Walking distance to the Tower of Pisa. Super friendly and helpful staff at check-in and checkout - Beatrice even taught me some Italian. There was a bell boy to carry my large suitcase to the third floor room - no elevator. One of the best breakfasts at a hotel or B&B! They made coffee drinks to order with a large buffet breakfast you could eat in a beautiful courtyard. The room was large. They called a taxi and even helped us with our luggage. Wish we could have stayed there longer! I booked this hotel last minute. The property is absolutely stunning. The standard of cleanliness is outstanding. It's close to the airport and only a five minute drive into Pisa. Olivia and her Father were so helpful and very informative. Everything was perfect and very comfortable bed! Really was a home from home. We popped over to the pub in the evening (literally just across the road). All locals were so friendly. Will be booking again in May when we plan another trip to Italy. Wow, this place has been a hotel since 1050. It’s beautiful- grand! lovely furnishings in the common areas. The beds were comfortable. We had a family room and a double room. The family room had a balcony looking onto the Arno. There is a lovely terrace on the top floor to go and have a sit/drink. Breakfast was varied with pastries, meats, boiled eggs, fruits, juices, coffee - and it was substantial. €8 from Pisa centrale and 10 minute walk to the tower. Very nice hotel. Really big, clean, and cozy. The location is 2 mins away from Pisa Centrale and 5-10 mins away from Leaning Tower (by bus). Also, the staff were really nice and friendly. When we checked in the hotel on Dec 29, the guy that worked in the front desk at night (approximately 8:30-9:00pm) was very nice and friendly. He helped us with our baggage and made sure we were comfortable. We received a superb welcome when we arrived, a perfect location 1 stop on the Pisamover shuttle from the airport & centre of Pisa, we dined in the restaurant, the best meal that we had in our stay in Italy! The standard of food was Egon Ronay status! The accomodation was a rate A level, we thoroughly enjoyed our stay! We will book Locanda del parco again! nice small cosy hotel, on a main street close to the city center 10 min walking to Leaning Tower. excellent location for people with car, there is parking spot. Also it is next to the bus stop for the airport bus. Nice small quiet rooms, friendly staff, that welcomed us at midnight as our flight was late in the evening. Recommend it. The host Michele was very hospitable and informative about Pisa. He recommended two very good restaurants and the best gelateria in Italy (I won't give any spoilers, you'll have to stay at his B&B to find out). The breakfast was very good with a wide assortment and fresh croissants every morning. Proximity to airport. I couldn’t believe we were in the hotel 20 mins after our flight landed (using taxi which cost 10 Euros). Also very close to train station (so Pisamover excellent option for transfer). Room was spacious. Bathroom also large. Very clean. Excellent breakfast in pleasant outdoor terrace. The hotel was very central on the main shopping street. About a 20 minute walk to the Leaning tower of Pisa. Staff very friendly and accommodating. Good breakfast provided. We were allowed to store our luggage after checkout free of charge. The location is just perfect. You’re only hundred meters away from Pisa tower. The hotel also give you maps to go to nearby attractions and restaurants. They need to improve on the breakfast though, both for variation and the crew. Old style but with a new twist. Room was old yet funky newly done up. Best cappuccino for the whole of Italy trip. Outside deceiving but room and breakfast and hotel in general was perfect. Couldn't fault it. Just amazing, great value felt like a 5star+ hotel amazing design /boutique ,great location for Getting into Central Pisa(10min Bus /cab ride very easy) attentive staff best hotel to date on our trip. Our room was good sized with a nice balcony with a view of the tower. Shower and bathroom were great, even roomy for Italy. Breakfast was nice and fresh. Price was very fair. Location was excellent. 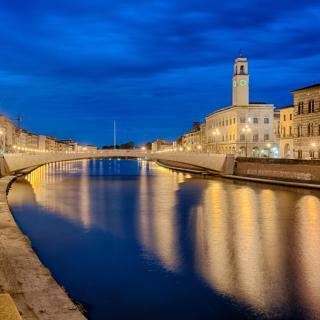 Great location to train station,busses, airport and short walk to Leaning tower of Pisa. Beautiful city views from our large windows. Clean bathrooms and cool shower. Staff were polite and really helpful. Hotel well placed for the airport or city centre by shuttle or taxi. Good selection at breakfast but not best quality. This hostel has its soul. It's owned by a very friendly family. One of the best hotel in Italy in my opinion. It’s near the tower of Pisa, the hotel is clean and comfortable.